HomeMan UnitedCan Manchester United Really Win The Champions League? 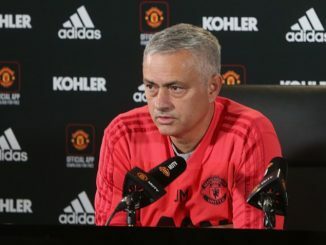 Manchester United slowly prepare for their FA Cup 5th round match against Huddersfield Town on Saturday afternoon. After that, they will travel Spain, as they are bound to play Sevilla in the first leg of the first knockout round in the UEFA Champions League. With the first four matches of the first leg clashes are now behind us, are Manchester United really able to lift the Champions League trophy this season. As the Premier League race is all but over, how realistic it is to see United win their fourth European title? Manchester City and Liverpool schooled their rivals away from home on Tuesday and Wednesday, beating Baselo 4-0 and Porto 5-0, respectively. Tottenham Hotspur showed their drive and character in a 2-2 draw against Juventus in Turin, proving that they are not to be bullied this season. And then there was Real Madrid, current holders of the trophy who won 3-1 against Paris Saint-Germain. Where are Manchester United amongst these teams? Do Jose Mourinho’s players possess the quality of reaching the glorious heights? First thing that makes this conversation interesting is that Champions League is a tournament, not a proper league, so the chances grow for those that are not heavy favourites. If Manchester United manage to get past Sevilla, they will be just four matches away from the final showdown in Kyiv. 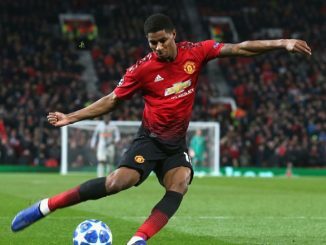 However, Man United will most certainly need to show huge improvements in their displays if they are to get anywhere near the match that will be played on 26 May. Sevilla are a good opponent, but they should not be too big of a task. They are arguably weaker than last season, when under Jorge Sampaoli they lost to Leicester City in the same round. United are a team that has more quality, but currently there are too many questions being asked about the Devils. Paul Pogba’s role in this team is still not completely specified, while Alexis Sanchez is still settling in. The Chilean showed he can improve this side, but his arrival has not made an instant positive impact on those around him. Romelu Lukaku is still struggling, Anthony Martial now has to play at right flank which is not his favourite place, while Jesse Lingard at times felt a bit suffocated in the ‘number 10’ role. While it is true one man is not supposed to solve all the problems, right now it does not look like he has solved any at all. Yet, time will only tell how much Alexis can and will do for this team. 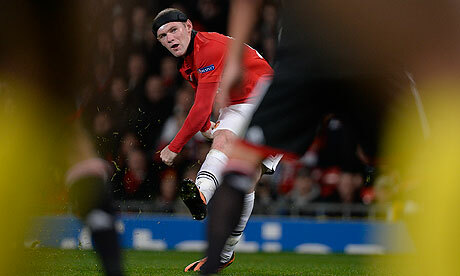 United, on the other hand, have to be very careful in their Champions League travails. There are probably six or more sides who have shown more this season than United have, but that is not always making a difference. United need to improve their form slowly, but looking at the match against Newcastle, they also have to improve in some basic things. Eric Bailly could be back for the match in Seville, as he is expected to train properly this Friday. The Ivorian was heavily missed in recent weeks and his boost could also be a factor in United’s improvements on the pitch. At this point in time, it would be a huge surprise seeing United lift the trophy in Kyiv this spring, but the scale of the club could be another factor in players finding their best ways.